Summer may be in full swing but there are still plenty of long, warm days left to make it a memorable one. And there’s no reason that has to mean weeks of planning and expensive plane tickets. I have three hands-on adventurous activities on my list just waiting to be checked off, all within a day’s drive at most. And the best part is, each one of them challenges an inner fear common in many of us. Here’s to putting a dent in those fears and making the most of the best season of the year! Those of you who don’t live near an ocean yet love to surf will understand - you have to get pretty creative to fulfill your surfing needs. Surfing the whitewater of a river is nothing new but it has gone under the radar for a long time. It made it onto my radar just last summer and is now at the top of my list of adventurous sports to try this summer. And luckily enough, the neighbouring province of Quebec has a few established river surfing spots. Although I’m all about living an adventurous life, I’m not about to attempt to river surf all on my own. I imagine the rush of whitewater around me will take some time to get comfortable with. My plan is to book a lesson through Montreal-based company KSF to ensure I get the right technique. I’m super excited to see how this type of surfing feels compared to ocean surfing, the only other type I’ve tried. Via what? Yep, those were probably my exact words when I first heard about this activity too. Translated from Italian, via ferrata means “iron way, or path”. It first started in the Italian Alps and is growing in popularity around the world. But what is it exactly? It's a (wo)man-made route along a rock- or mountain-face. As the “climber” you’re harnessed to a steel cable that runs the length of the route. To get from point A to B, you may have to get across swinging bridges, climb iron rungs and walk across steel beams. I see it as taking a treetop adventure course and moving it to the side of a cliff or mountain. Are your palms starting to sweat already? Mine too. Thankfully - for those of us who struggle with heights - there are different levels of via ferrata. Course lengths can vary too. Mont Tremblant outside of Montreal, for instance, has 3 trips to choose from, varying in length, height, and therefore difficulty. Can you imagine how good you’ll feel once you’ve completed the course? Not because you didn’t fall off but because you conquered your fear of heights. If that’s not living adventurously, then I don’t know what is. Clip me in! Not what you expected to be on this list? Summer brings out the kid in many of us and skateboarding is a great way to embrace the carefree-ness of the season. 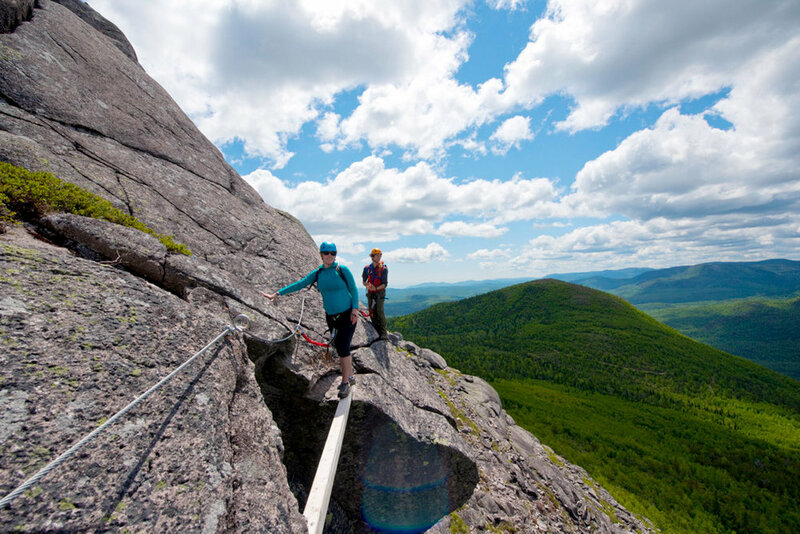 If conquering your fear of heights (such as with via ferrata) is not on your list for this summer, perhaps conquering the fear of falling off a skateboarding could be. Whether you’ll be trying it for the first time, like me, or you’ll be reliving your childhood adventures, make sure to pick a board suited to your current experience level. Since skateboarding continues to be a popular activity today, there are plenty of skate shops around that would be happy to assist you. If you’re looking for me this summer, I’ll be the one riding the smoothest surfaces available, with a helmet, wrist guards, and knee and elbow pads on - you can’t miss me! Help me add to this list - are there any other adventurous summer activities I should try?